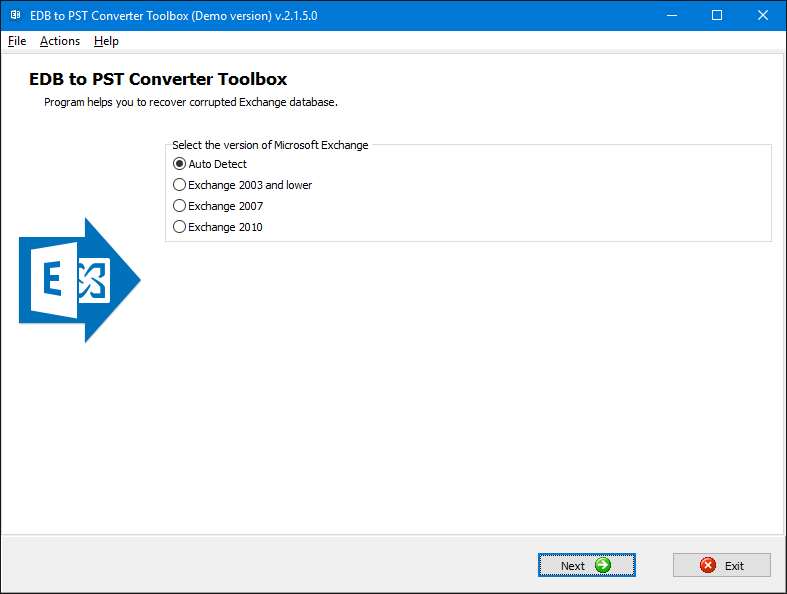 The development team of Converter Toolbox solution provider suggests evaluating the freeware version of EDB to PST Converter Toolbox for Exchange folders. Open source, MPL and GPL versions are not currently supported, but the development community welcomes all suggestions and continuously works on the highest efficiency of file conversion engine. 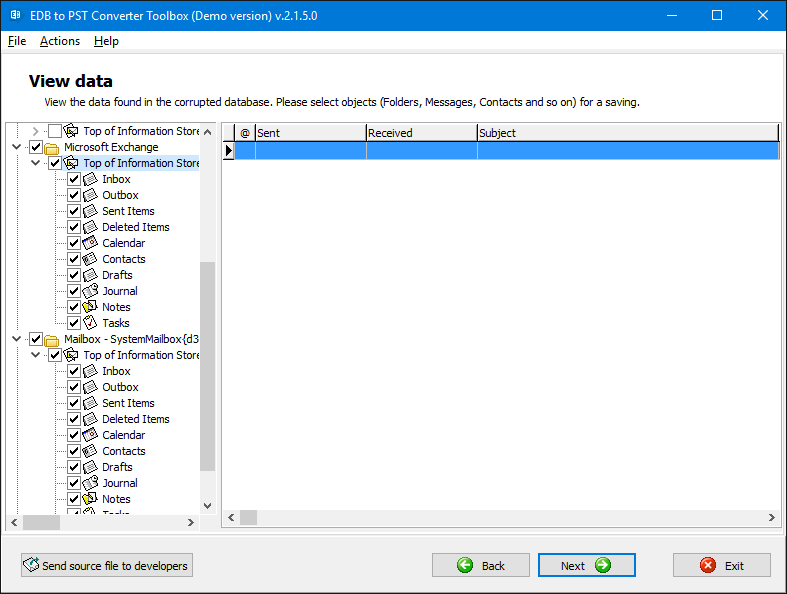 Please donate to the development team of Converter Toolbox to support its efforts and remove some restrictions of freeware version. Note: EDB to PST Converter Toolbox do not support a recovering of contact groups yet. Requirements: Windows 98/Me/2000/XP/Vista/7/8/10 or Windows Server 2003/2008/2012 and above.